Hello dear readers. 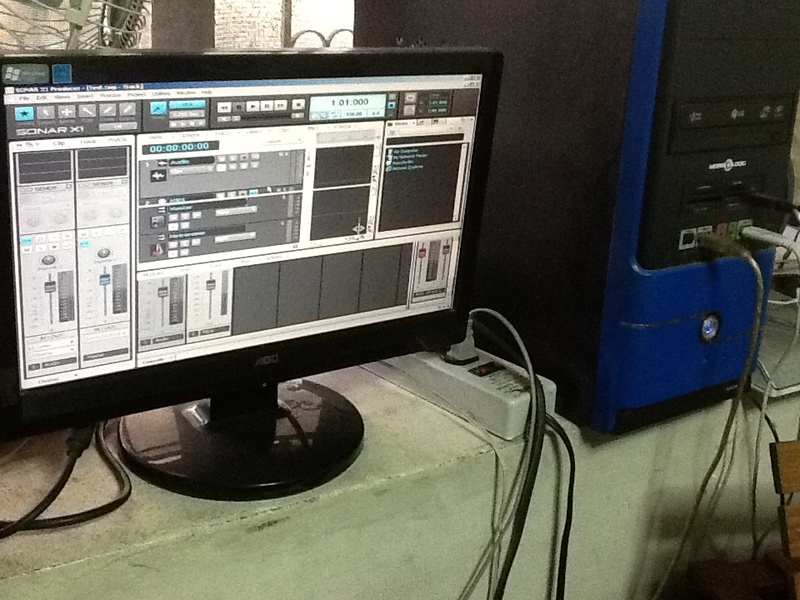 It’s Mark A. Galang again in another installment of audio production tutorials. This tutorial was written in compliance to the peer review assignment requirement of the Berklee Course “Introduction to Music Production” being hosted by Coursera. I do hope that you all find this tutorial to be informative. 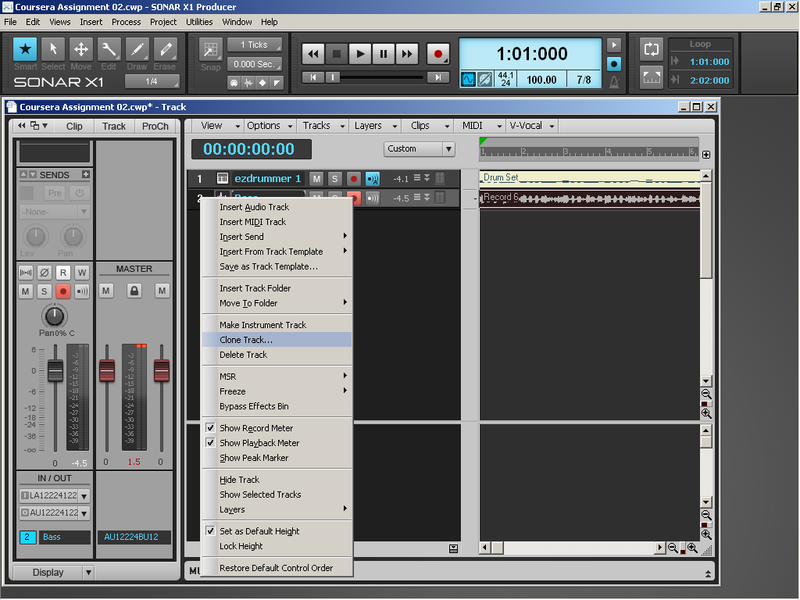 This tutorial features the way how I prepare a project in my DAW for recording. 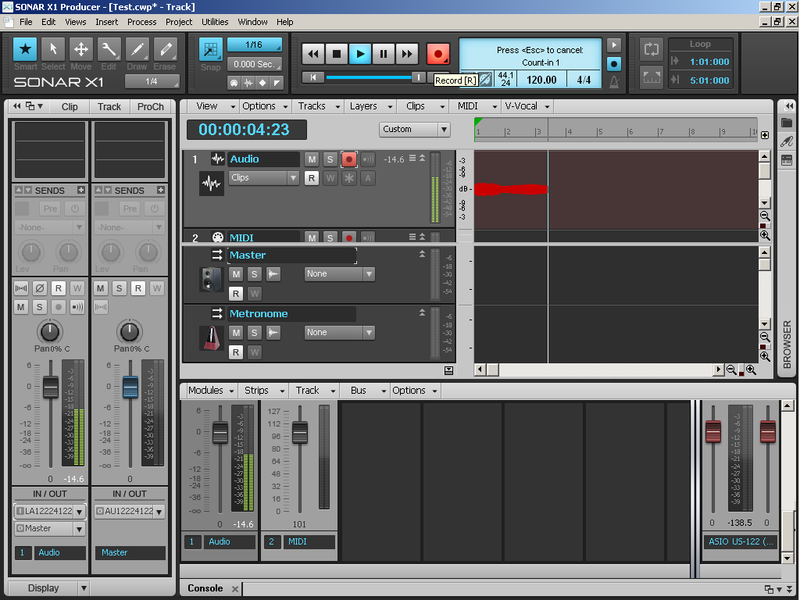 It also gives some insight into how I compose and record music. I use Cakewalk Sonar X1 as my DAW software. Let’s get started. 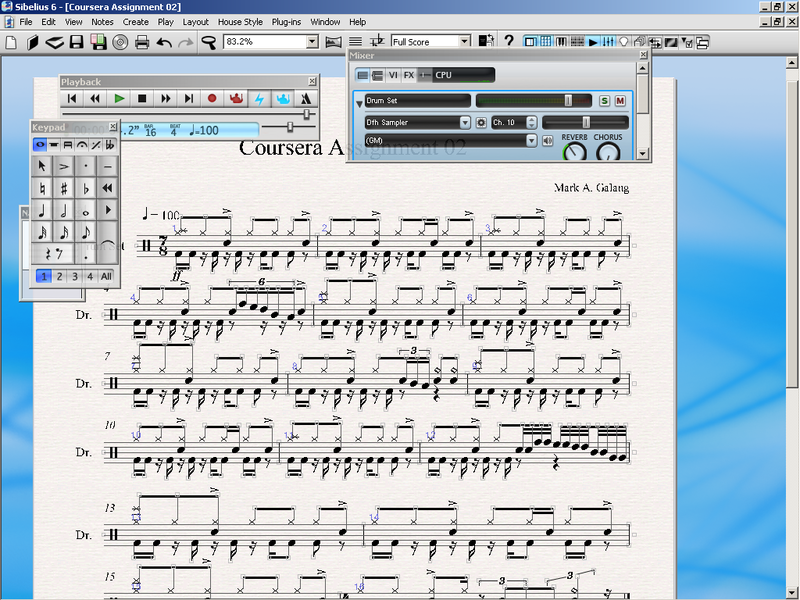 Before I actually create a project in Sonar, I usually write drum parts, orchestral parts, etc. 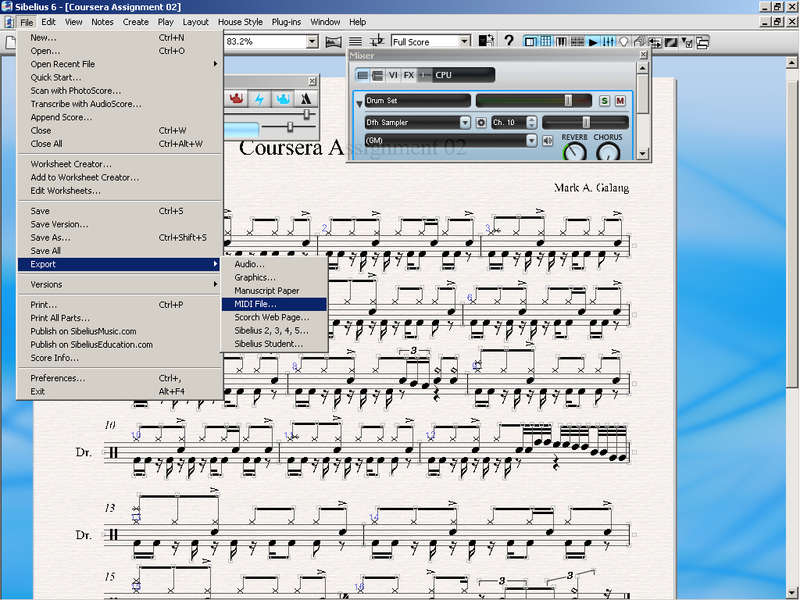 using Sibelius 6. In this case, I just wrote the drum part for this project. After writing the drum part in Sibelius, I would then save my work and then export it as a MIDI file to the folder of my choosing. 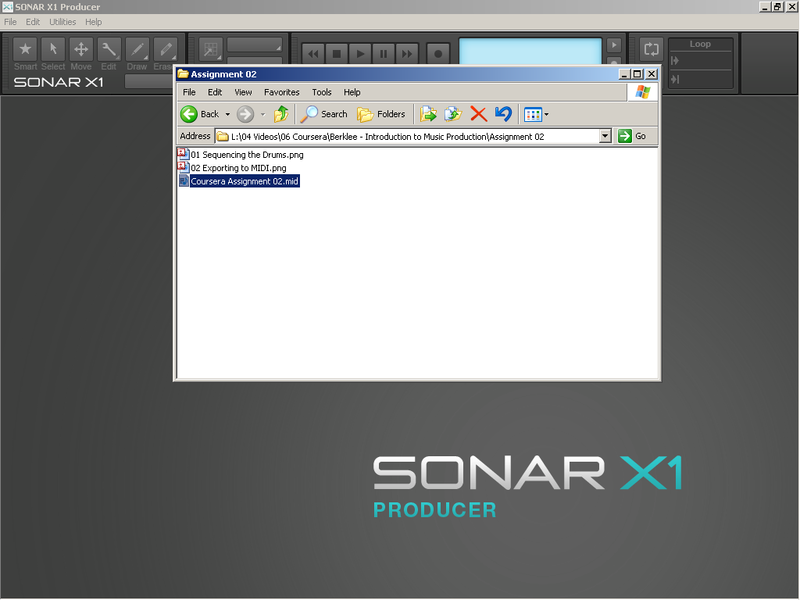 After opening Sonar X1, I make use of an atypical method of creating a project. 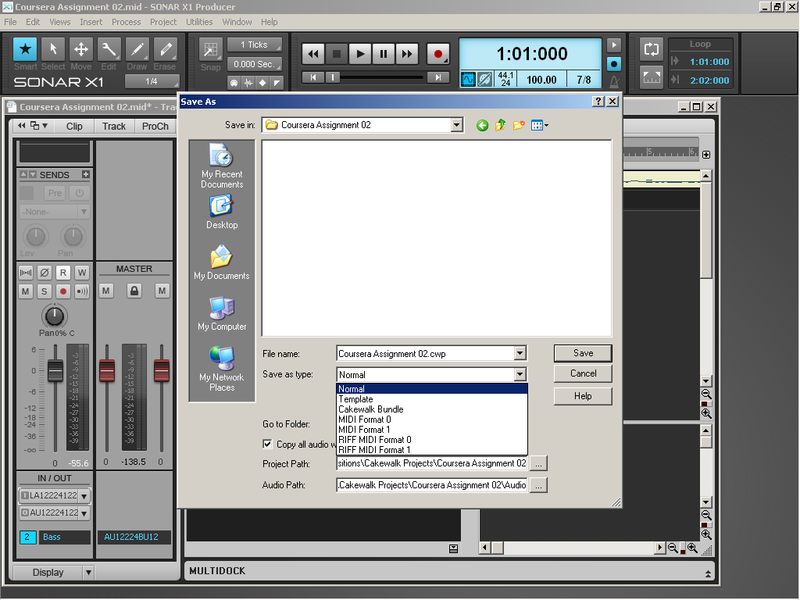 I close the project creation wizard and then just drag the MIDI file I created into Sonar. 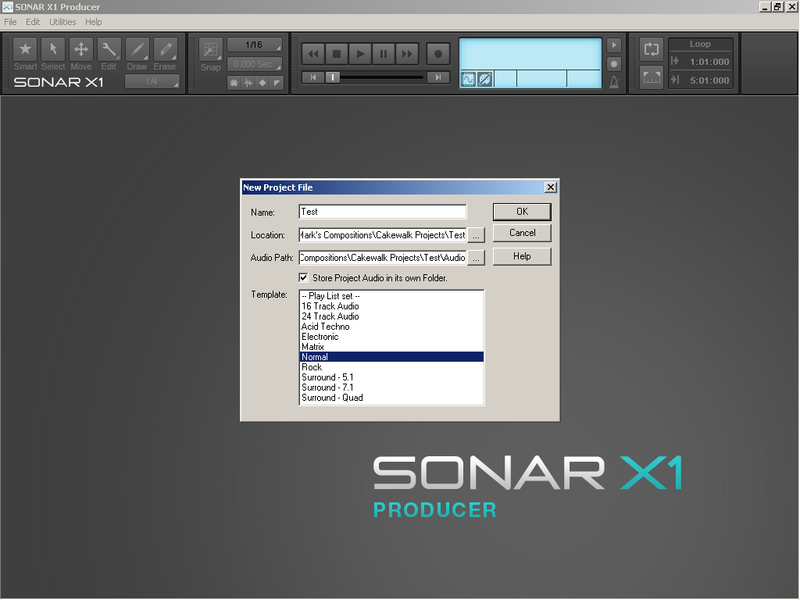 Sonar will automatically open the MIDI file as a project. Once the MIDI file has opened, I would then create an instrument track that would play back the MIDI data in the project. In this case, I’m using a VST instrument called EZDrummer. 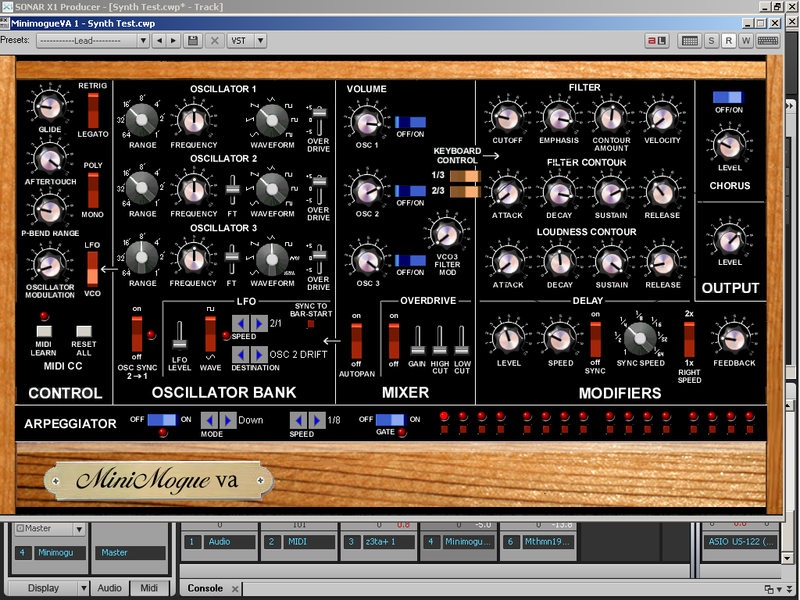 An instrument track is a combination of a MIDI and Audio track. The data displayed is MIDI but the playback comes from an audio source, usually a software instrument. Instead of assigning EZDrummer as the output for my MIDI track, I just simply drag the MIDI data into the instrument track and then delete the resulting empty MIDI track. The instrument track can read MIDI data anyway so I have no further use for the empty MIDI track. I would then create an audio track next by right clicking on the empty space where the channels are supposed to be in Track View and then selecting the “Insert Audio Track” command. After creating the audio track, I would then label the audio track. In this instance, I’m recording a bass guitar track so I simply label it “Bass”. 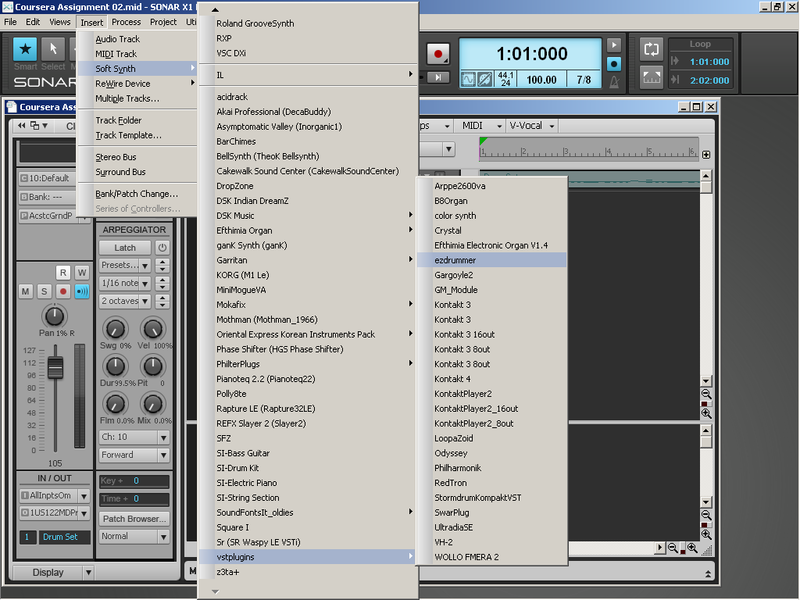 Afterwards, I select the appropriate input source for my audio track. In this case, my bass is connected to the left instrument input of my audio interface and so I select the left one in my DAW. If I select it this way, I will be able to record my bass part in mono. Because Sonar opened my project as a MIDI file, it cannot save audio data yet. I would then save the project as a “Normal” CWP (Cakewalk Project) file with the “Copy All Audio With Project” option ticked so that I can assign the project and audio data folders for easier file management. Before I begin recording, I then click on the red button in my audio track so that it would be “armed” for recording. 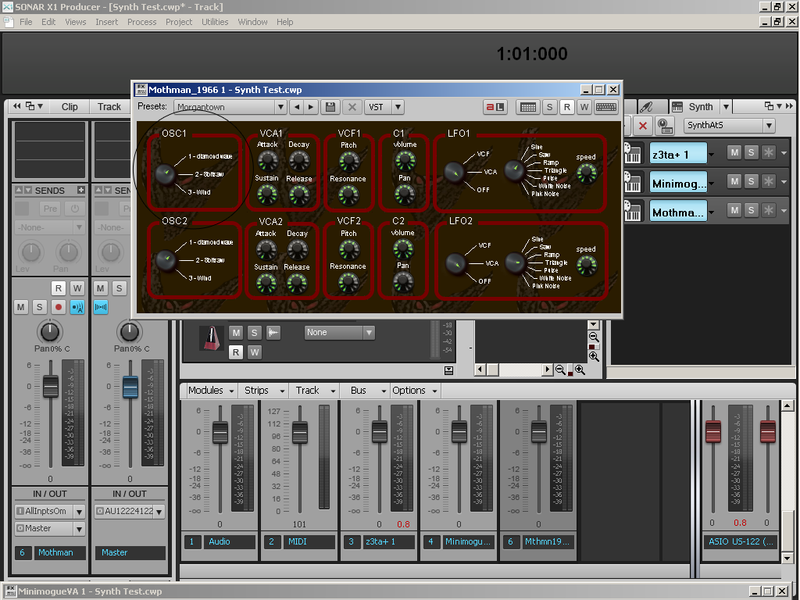 Once the audio track is armed, I check my instrument’s recording levels on my audio interface and on the DAW. I am now ready to record my bass parts. Before I start recording, I check my metronome/click and then see if I have the correct settings. I prefer using an audio click rather than MIDI and I set up the record count in to just “1”. Since the time signature in my project is 7/8 with a tempo of 100 bpm (in quarter notes), I expect to hear seven fast clicks before the DAW starts recording my audio. 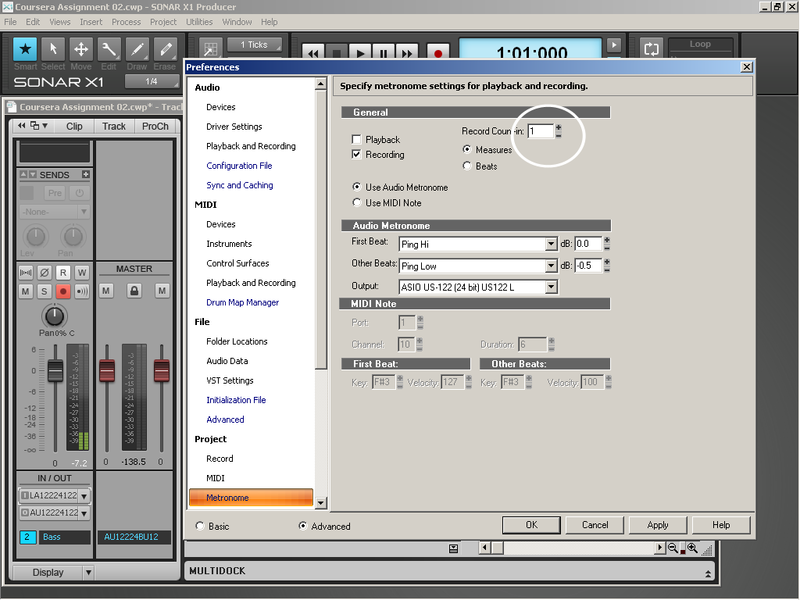 Once the levels are set and the audio track is armed, I start recording by pressing “R” on my computer keyboard. I count along to the count-in clicks (one, two, three, four, five, six, sev) and then start playing my bass parts. Once I’m done recording, I press the space bar to stop. Because I need to have a couple of recorded options, I record a number of takes. 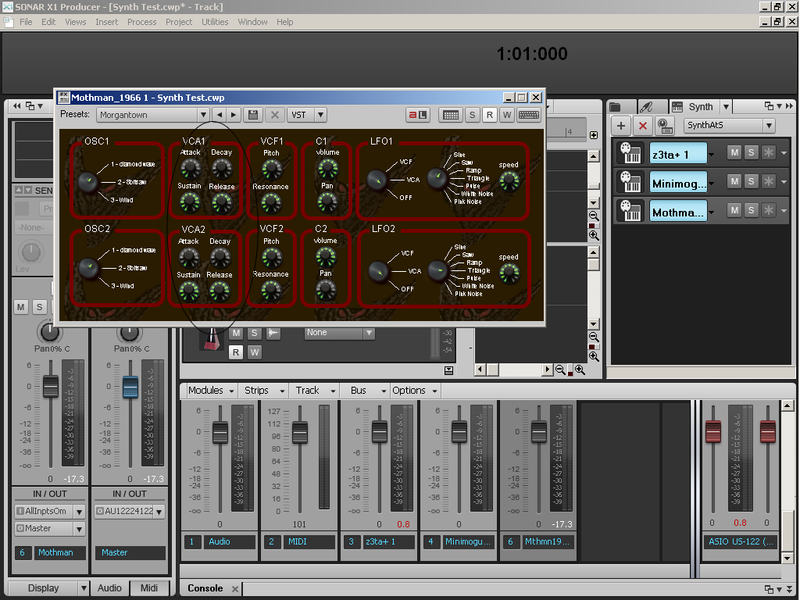 To do this, I just clone the audio channel where my bass is recorded. 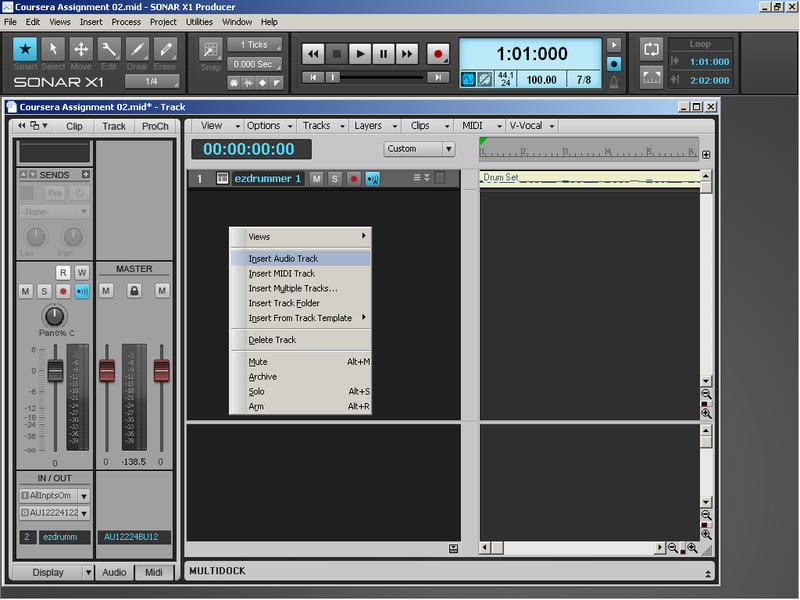 To do this, I just right-click on my audio track and select the option “Clone Track”. 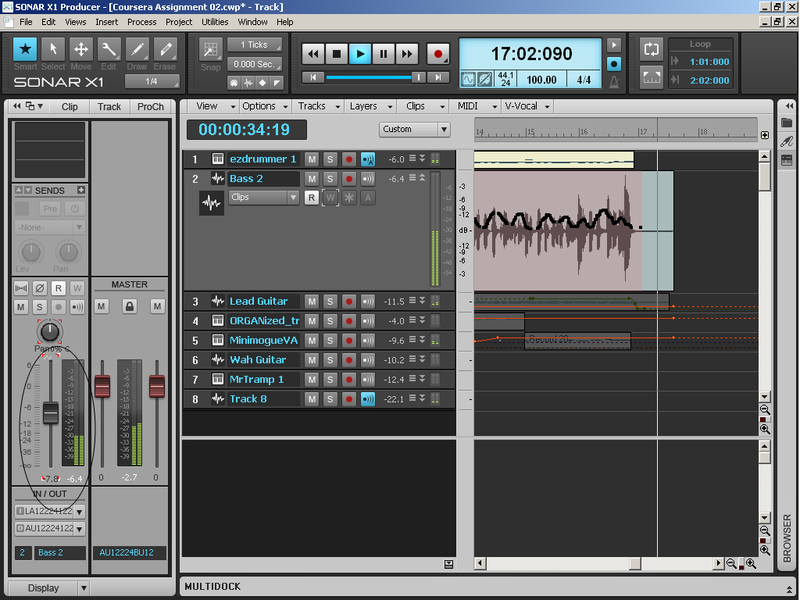 Sonar will then duplicate the audio track in its entirety. 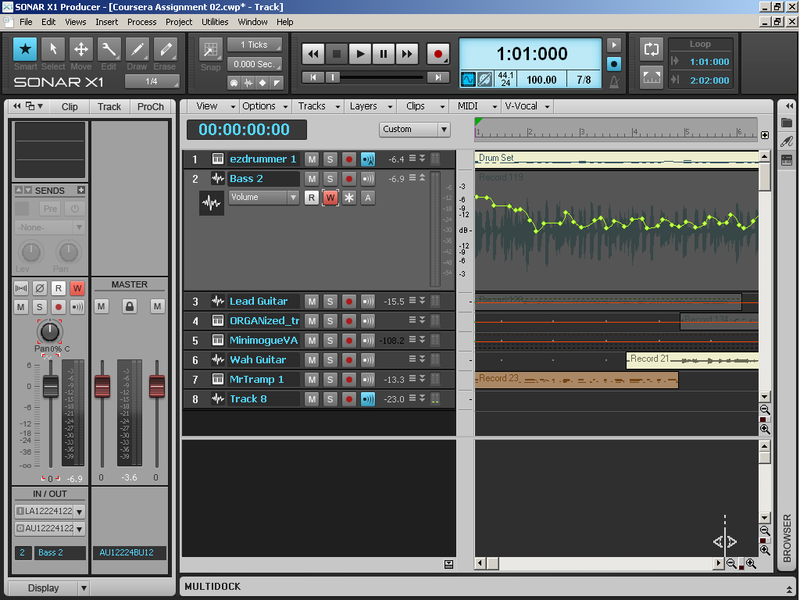 The cloned audio track contains all of the data from the previous audio track, including recorded audio. Therefore, I would delete the recorded audio from the cloned track in order to empty it so I can begin recording a second take. To lessen distractions, I would then mute the original audio track before I record my second take. 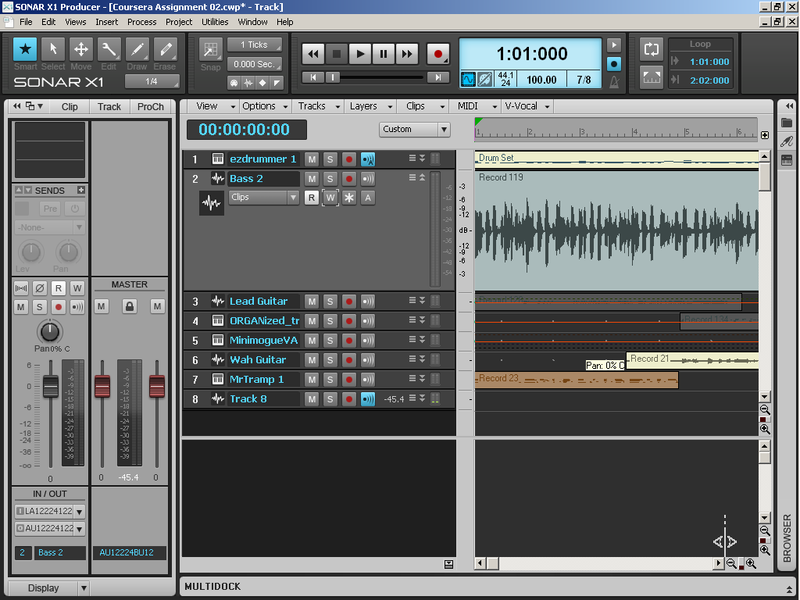 Once my cloned audio track is ready, I would then record a second take following the steps mentioned a while ago. After completing all of these steps, I think the entire effort went well. I was able to set up a project and record an audio track. Upon reviewing the project, I think that I should have saved the project immediately as a normal DAW project before setting up the audio track so that I wouldn’t run into a problem later should the application crash. Some of the steps I took to create the DAW project are atypical. However, this fits my usual workflow which involves composing and notating music first before recording audio. I hope that you all have enjoyed reading and learning about recording audio in a DAW through this post. Thank you for your time and I hope to hear from you. If you have any feedback, comments, or constructive criticism, please feel free to let me know as I would love to learn new things as well. Good day. 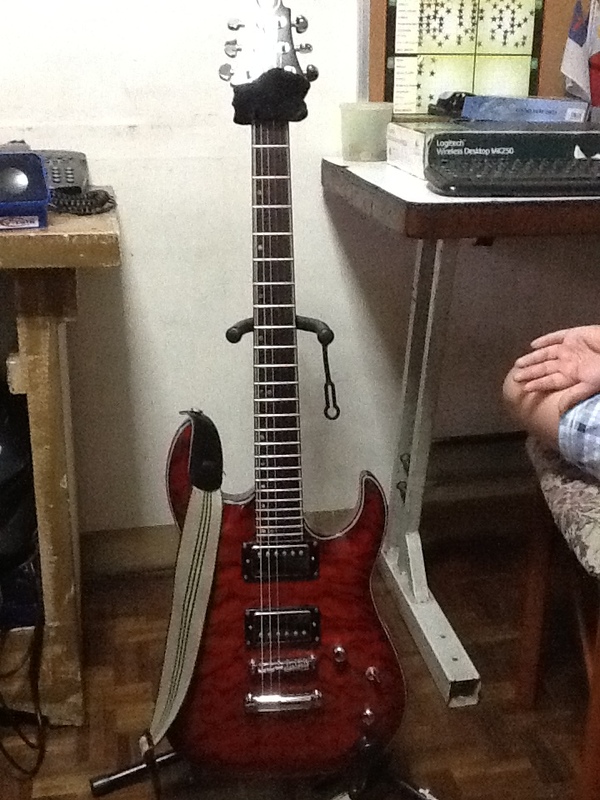 My name is Mark Galang, and I am a freelance musician and composer from Paranaque City, Philippines. This is my first peer-reviewed assignment for Introduction to Music Production, a Coursera.Org course provided by the Berklee College of Music. Part of my work involves recording electric guitar and bass parts. Certain circumstances prevent me from recording with an amplifier (lack of a good room and neighbors), and so I usually record without one. 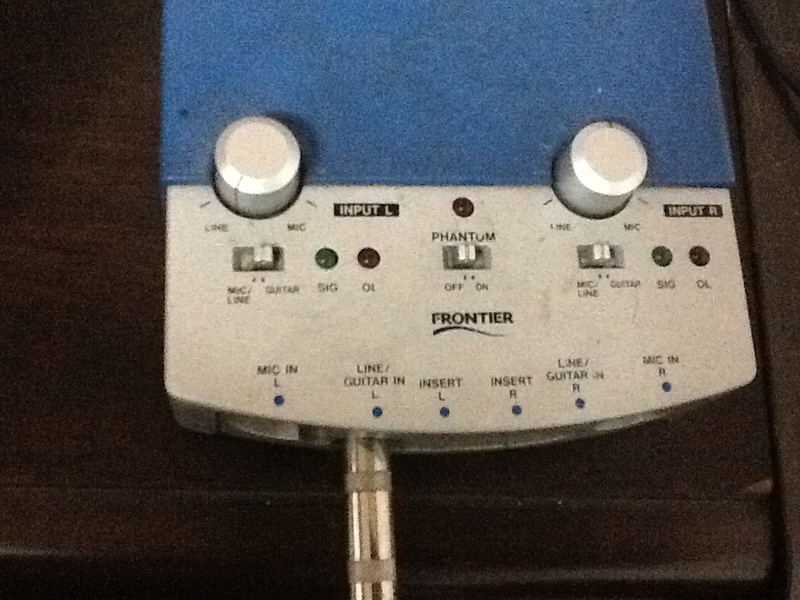 This tutorial will teach you how to record an electric guitar or bass without an amplifier. 1. 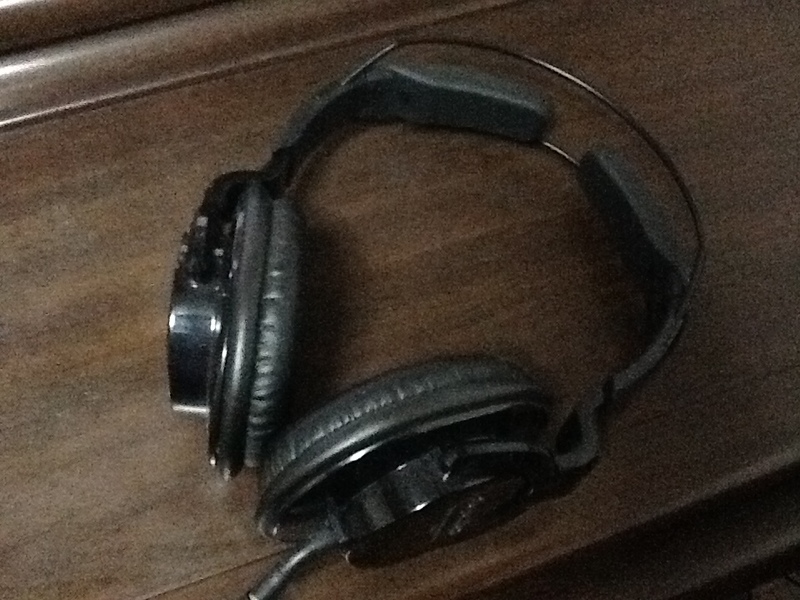 Before you begin recording, make sure that your audio interface is connected to your computer via USB or Firewire and that your speakers and/or headphones are connected to the line out/headphone out of your audio interface. 2. Set the level of your audio interface’s instrument input channel to zero. If you have a device that you can switch between mic and instrument mode (LoZ and HiZ), please switch it first to instrument or HiZ mode. 3. 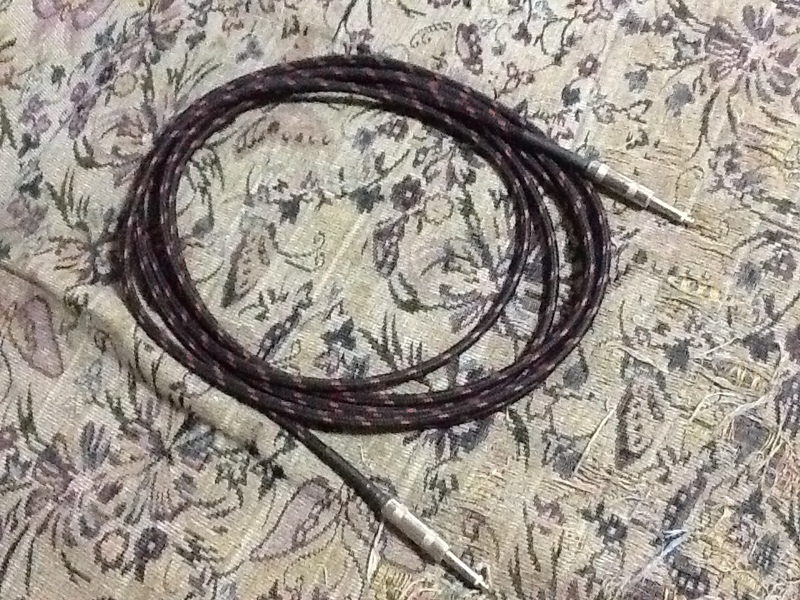 Plug in your electric guitar or bass into the audio interface’s instrument input (also known as guitar input) using your instrument’s cable. 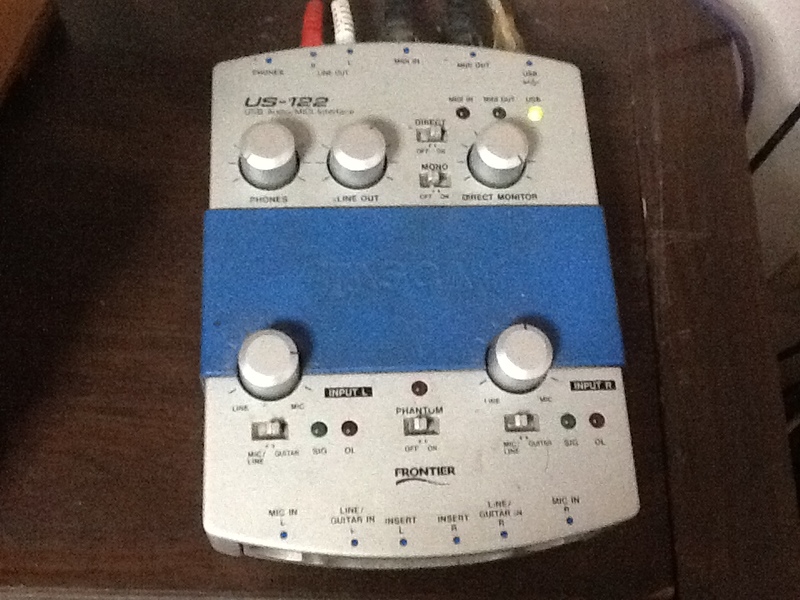 If you have effects pedals, make sure you have connected them as well in between the instrument and the audio interface. 4. Open up your DAW and create a new project. 5. Select one of your DAW’s audio tracks and assign the input device where your electric guitar or bass is connected. 6. Raise and adjust the level of the input channel at the audio interface where your instrument is connected. Before recording, play some music with the instrument first to check the levels. Make sure that the level is not too high to avoid distortion. Most audio interfaces have an LED or display that allows you to check levels. If the level is above 0 dB, it goes into the “red” zone (or causes a red LED to flash) meaning that the level is too high and it will cause distortion (not the good electric guitar amp kind!) or clipping to occur. 7. If your device has a direct monitoring feature, switch it on so that you can monitor your instrument during recording in real time. 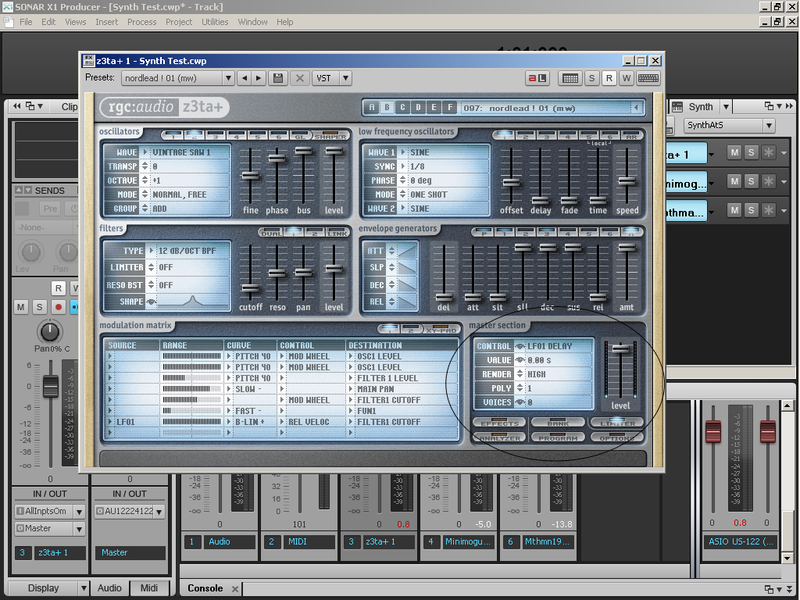 Otherwise, you can turn on your DAWs live monitoring feature. 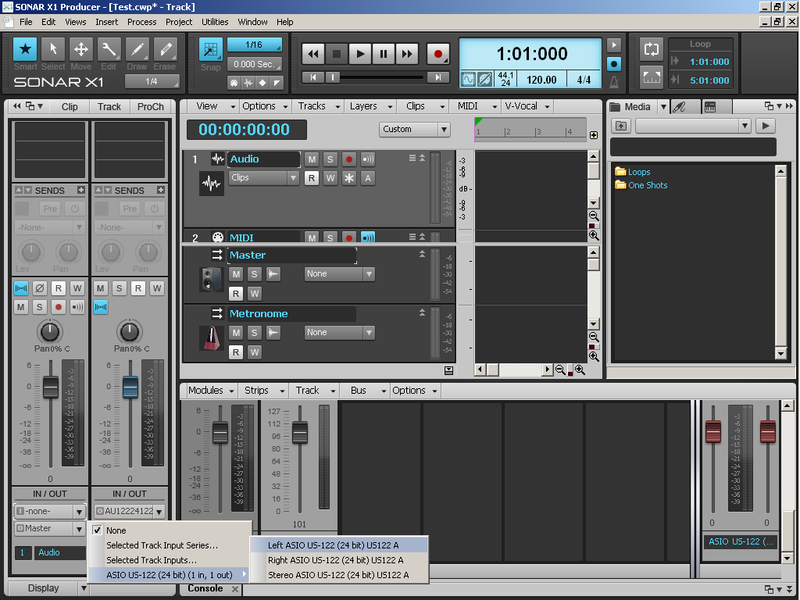 Live monitoring on a DAW, however, takes up more computer resources to run and suffers from some degree of latency. 9. 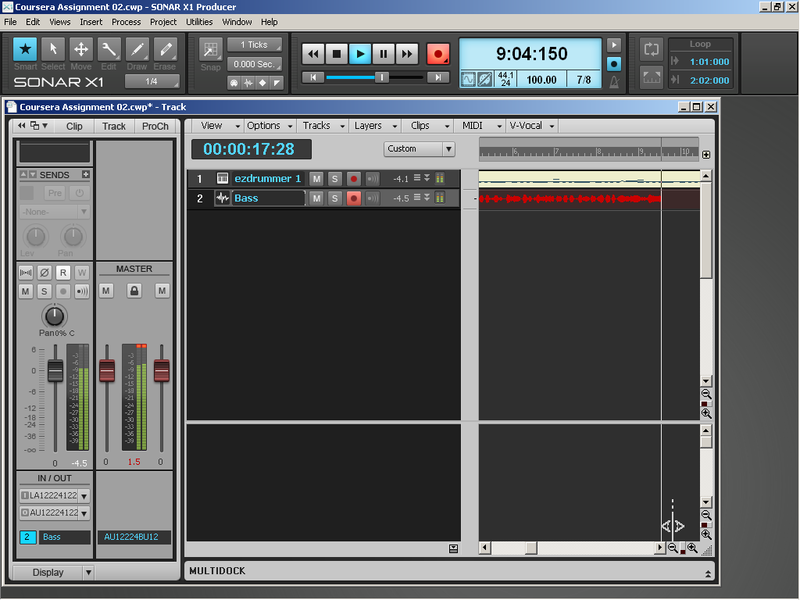 Once you’ve set up the appropriate levels, arm the audio track in your DAW and then you can start recording. Prior to signing up for this class, I had learned how to record in this manner through trial and error. As a result, I’ve had my share of badly recorded audio. I accept those mistakes though as the part of the learning process. All in all, I think the entire process or recording without an amplifier went well. 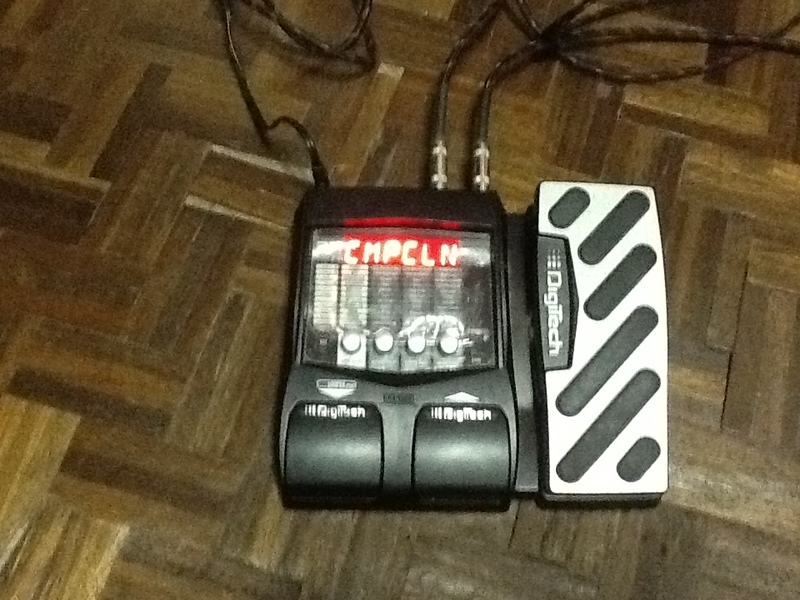 Nowadays, I make use of a Digitech RP255 multi-effects pedal to emulate a variety of amp sounds and guitar effects. With the combination of the direct monitoring feature in my audio interface, I can hear my guitar processed with the effects that I want in real time. 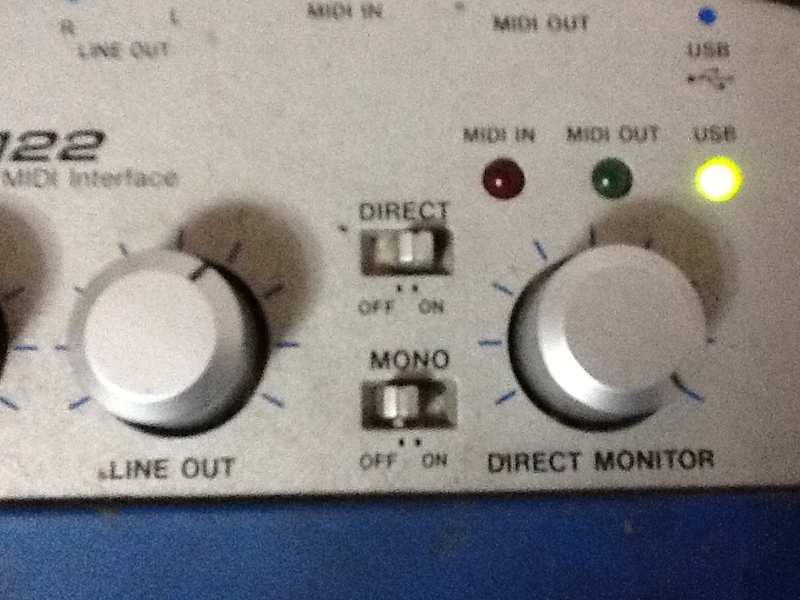 When using the direct monitoring feature when recording, I prefer to switch the audio interface to mono mode so I can hear the guitar’s output on both speakers (since it’s only connected to one input). Previously, I was using VST amp simulators and effects plus live playback monitoring in my DAW. As described in the lesson, the problem with this is latency plus the fact that VSTs use up computer resources. Thank you for taking the time to read and evaluate this lesson. I do hope that I have presented the lesson accurately. If you have any feedback or if there’s anything else I could have done to explain things better, I would love to hear from you.